Horii Tomitaro was born in Hyogo prefecture and joined the Japanese Army in 1911. He was a graduate of the Army War College and served in China in the 1930s, being present at the First Battle of Shanghai. At the start of the Pacific War he was in command of the South Seas Detachment, a brigade group built around 144 Regiment, which was assigned the tasks of seizing Guam and Rabaul. After successfully completing both assignments, South Seas Detachment was embarked to invade Port Moresby during the Battle of the Coral Sea. Told by the Japanese Navy that the Allies had been soundly defeated in the battle, Horii sarcastically replied that "First, I offer my deepest congratulations for such an unprecedented victory. Secondly, I confirm that I understand we will return to Rabaul" (Collie and Marutani 2009). Horii then led his detachment (now reinforced with 41 Regiment) along the Kokoda Trail to capture Port Moresby from the land side, though he had earlier expressed his doubts about the plan's feasibility. As South Seas Detachment was fought to a standstill outside Port Moresby, the Japanese logistics in the South Pacific became seriously overstrained attempting to support both Horii and the troops on Guadalcanal. Horii was ordered to retreat back to the Owen Stanleys until Guadalcanal was reconquered. Confirmation of the order from Imperial General Headquarters was required to convince Horii to give up ground his troops had fought so hard for. 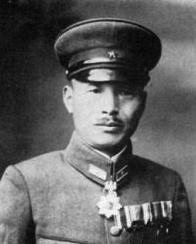 On 18 November 1942, impatient to rejoin his troops on the north coast, Horii decided to attempt to navigate the Kumusi River with his staff on an improvised raft. When the raft became stuck on a submerged tree, Horii, his orderly, and his chief of staff abandoned the raft for a canoe. The trio reached the mouth of the Kumusi, but the canoe capsized in a thunderstorm off the New Guinea coast. According to his orderly, Horii's last words were "I haven't the strength to swim any further. Tell the troops that Horii died here. Long live the Emperor!" 1. Do not needlessly kill or injure local inhabitants. 2. Behavior such as looting and violating women is strictly forbidden. 3. Buildings and property in enemy territory must not be burned without permission. 4. Scrupulously keep secrets and maintain security. 5. Treat ammunition carefully and keep waste to a minimum. However, had Horii survived the war, he would likely have been hanged by the Allies for the massacre of Australian prisoners of war at Tol Plantation on New Britain and for the mistreatment of Allied civilians in New Guinea. Horii had ordered leaflets dropped over Rabaul warning the Australian soldiers that only those who surrendered at once would be treated as prisoners of war, while anyone offering resistance would "BE KILLED ONE AND ALL" (Gamble 2010), in violation of the Geneva prohibition against refusing quarter.